For an expedition to remember, trek to Rockport State Recreation Area to hunt for fossils from the Devonian Period. 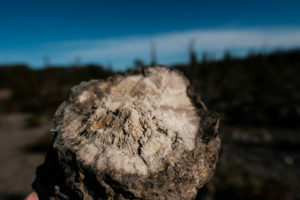 These 400+ million year old fossils are plentiful in the abandoned 300-acre limestone quarry on the property. Each visitor to the park is allowed to take up to 25 pounds of fossils per year home for personal enjoyment. 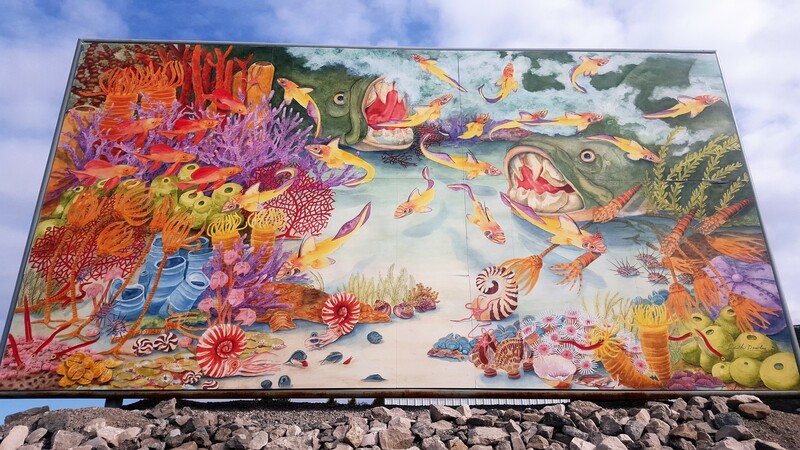 If an adventure to Rockport doesn’t fit your time schedule, then a quick trip to the Besser Museum Fossil Dig Park is also an option to satiate your rock hound instincts. Download the Rockport Adventure Guide to start planning! 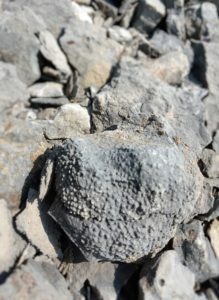 Fossil specimen from Rockport State Recreation Area, courtesy Dan Price. cavemen. Our hunter-gatherer ancestors foraging through dense forests, hunting wild game with nothing but handmade bows and arrows. If we look back even further, we think of dinosaurs roaming the Earth throughout the Triassic, Jurassic, and Cretaceous Periods. But what if we go back even further than the dinosaurs? Way back to the Paleozoic Era, and more specifically, the Devonian Period? This is where Alpena continues to hold on to the secrets of 400 million years ago. placoderm fish came to be during the late Devonian Period, and is named Dunkleosteus (pronounced DUNKLE-OSTEUS). This creature adorned bony armor on the head and frontal region of the body, as well as bony structures, (much like teeth, but not true teeth), that were used to shear their prey. Paleontologists can only speculate what the torso and tail of this fish looked like, however it is believed that the Dunkleosteus grew as long as 33 ft.! The chances of finding a Dunkleosteus in the quarry of Rockport are rare, but this king of the Devonian sea deserves an honorable mention. 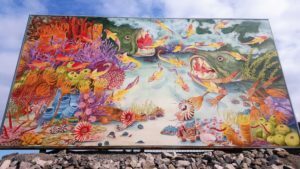 A depiction of this fish is shown above in the mural outside of Besser Museum for Northeast Michigan, painted by the talented Judy Dawley. Besser Museum features a Fossil Dig Park free and open to the public all within the Alpena city limits. Fossil specimen from Rockport State Recreation Area’s abandoned quarry.